One of the typical entry level jobs for accounting graduates, budget analyst is a great start for your professional career. You will see the numbers, understand the expenses, and you will easily learn the basics of running a business. What is more, this jobs pays better than most entry level jobs in big corporations do, and you can get it with Bachelors degree in accounting, and no previous working experience. Let’s have a look at the typical interview process for this position. Why do you want to work as a budget analyst? Tell us something about your education and experience in the field. Big corporations receive a plenty of job applications, for every single vacancy they advertise. 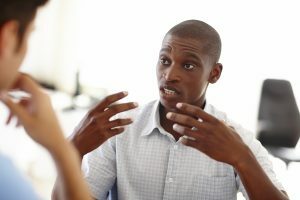 Rarely will they invite all people for the in-person interviews, and you will typically have to pass a few rounds of interviews before signing a job contract. Say that you enjoy working with numbers, that you have strong accounting and analytical skills, and believe that you can be useful for the employer on this position. You can also say that you plan to become an accountant, or project manager in the future, and consider the position as a good starting point for your career. Try to keep it relevant, and focus on practical subjects/experience. You can mention all subjects that relate to the job of a budget analyst, such as Statistics, Math, Accounting, Financial Analysis, Time Row Analysis, and other. Show some confidence. Tell them that you believe to be ready to start the job (with everything you have learned up to this point), after getting initial training. 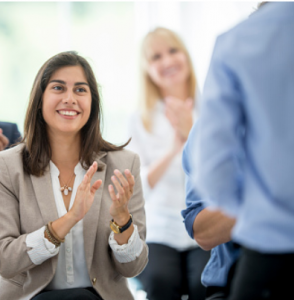 Big companies provide training for all new hires,. When you apply for an entry level job of a budget analyst, you should not expect to deal with a huge cariety of duties in work. They won’t entrust you with planning of the entire budget (neither for the department, nor for the project). But you will help the project managers with planning and reviewing the budget, and with checking the accuracy of data. What is more, job description should help you to understand what you will do in the particular job. One way or another, try to show them that you are eager to learn and ready to work hard, and do not plan to hang around the office. What will motivate you in this job? How do you imagine a great boss? Why did you leave your last job or why do you plan to leave your present job? Why should we hire you, and not one of the other applicants for this position? Once you manage to pass the initial screening interview in the company (or over the phone), they will invite you for an in person interview. 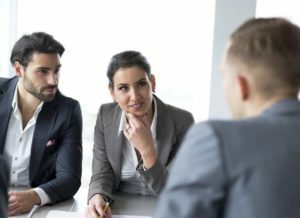 They may repeat some questions from the first interview, but they will ask you also some behavioral and technical questions. The first help them to understand your attitude to various situations that happen in the workplace, and the second help them to understand your knowledge of accounting and budget analysis. Note: Big corporations won’t ask you many technical questions. 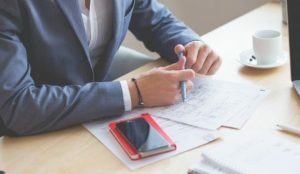 They will train you to do your job, and they rely on your University degree–when you earned it, you have to know the basics of accounting (at least that’s what they believe). When you apply for a position in a small company, however (not typical, since small companies do not hire a special person for analyzing budgets, but it can happen), you may deal with a few technical questions. Let’s have a look at both groups right now, starting with behavioral questions. Describe a time you struggled with motivation in work/school. How did you overcome the crisis? Tell us about a time you experienced pressure (either at work or at school). How did you handle it? What would you do if you thought that your superior was not qualified for their job? Recall a time you had to defend a budget recommendation to a demanding executive. What was the outcome of the situation? Describe a situation when you faced a particularly demanding problem or challenge in your personal life. How did that affect you in your job/studies? Special tip no.2: Check our Interview Success Package for great answers to all difficult behavioral interview questions. What is the first thing you look at when asked to review a budget? What are the most common mistakes people do in their financial analysis? Imagine an executive tells you there’s some inconsistency between approved budget and actual expenditure at a department. What will you do? When you have to cut the overall expenses, what items on the budget do you check first, while trying to find areas to save money? What computer programs do you use in your work, and why? You will typically have to pass a series of interviews while trying to get a job of a budget analyst. Since it is a good job, and most companies require just a Bachelor degree (and no experience), you have to count with some competition. You won’t be the only candidate they interview for the job. Prepare for the personal and behavioral questions, and try to make the best possible impression. Remember that the success (or failure) is not a question of luck. Do more than your competitors will do, and ace your interview. 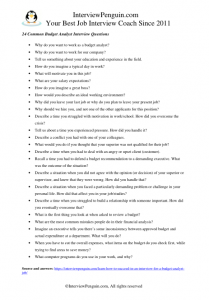 Accounting interview questions – Behavioral and technical questions, and the practical test of your accounting skills. Learn how the HR managers assess your readiness for the job of an accountant.